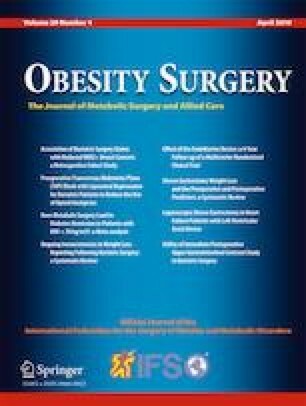 Roux-en-Y gastric bypass (RYGB) is considered as the gold standard for surgical management of morbid obesity due to its good results on weight loss and correction of comorbidities related to obesity and its few complication rates. Here, we describe a present strategy for dealing with an unusual complication after RYGB, responsible for chronic pain, as a chronic dilatation of excluded stomach. The video shows our laparoscopic treatment of an excluded gastric fundus dilatation. A 21-year-old woman with history of RYGB was admitted in our center for recurrent abdominal pain. Many consultations have been performed before for the same reason and without explanation for this chronic abdominal pain. We found that a dilatation of the excluded gastric fundus was responsible for recurrent abdominal pain and thus required revisional surgery. An abdominal computed tomography with oral contrast study showed an atypical dilatation of the excluded stomach without gastro-gastric fistula or others abnormal findings. Intra-operative exploration then revealed multiple adhesions. During surgery, released of the excluded stomach allow to confirm a dilatation of the excluded fundus due to error in stapling when performing the vertical part of the gastric pouch of the RYGB. We resected the excluded dilated gastric fundus. An uneventful post-operative course enabled rapid discharge (post-operative day 3). Dilatation of the excluded gastric pouch due to staple line misfiring during RYGB is a rare complication and can explain chronic abdominal pain. Laparoscopy can be useful to confirm the diagnosis and allow treatment using gastric resection in our case. The online version of this article ( https://doi.org/10.1007/s11695-018-03690-7) contains supplementary material, which is available to authorized users. Informed consent was obtained by all individual participants included in the study.